According to a 2009 study commissioned by the City of Chicago, as many as 40 percent of city residents lack home broadband access, making libraries and other public computer centers essential resources for employment, training, and educational opportunities. Over 60 percent of Chicago libraries now report average wait times for a computer of three hours or longer. The SmartChicago Public Computer Centers project proposes a wide-scale upgrade and expansion of workstation capacity at more than 150 locations, including city libraries, community colleges, public housing sites, workforce centers, senior centers, after-school programs, and other community locations throughout Chicago. The project will provide hundreds of thousands of hours of training, including digital literacy instruction and assistance for job seekers. The project plans a specific focus on low-income residents, at-risk youth, senior citizens, people with disabilities, and the unemployed. As of June 2013, the City of Chicago deployed approximately 2,500 workstations at nearly 150 upgraded and 18 new public computer centers across the city. These centers are part of the SmartChicago Public Computer Centers project, intended to provide Internet access and training with a specific focus on low-income citizens, at-risk youth, senior citizens, people with disabilities, and the unemployed. A large number of city residents lack home broadband access and rely on libraries and other public computer centers for broadband access, and for employment training and educational opportunities. 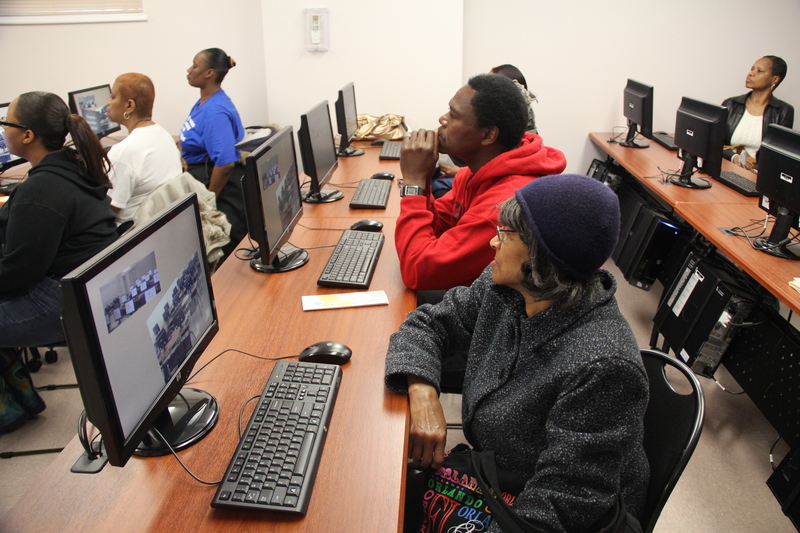 Each week, more than 80,000 Chicagoans visit the centers, which provide a variety of classes covering topics such as introduction to Microsoft Office, graphic design, Internet basics, and computer security. The city’s goal is to help Chicagoans improve their lives through computer resources and educational opportunities. The City of Chicago also developed the Digital Skills Initiative, a series of self-paced, online modules that will teach residents computer and workforce development skills. Chicagoans have free access to more than 300 modules covering topics from computer basics to advanced spreadsheet manipulation.